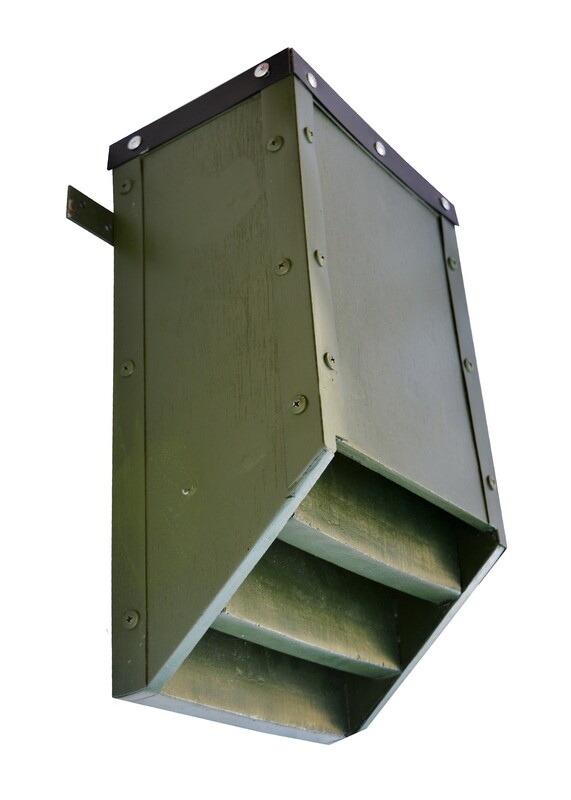 This Habibat Triple Chambered Access Box iprovides a roosting area for bats. The box is constructed from plywood and is finished in green masonry paint. The Access box is suitable for external mounting on trees or the outter skin of a building.